The TSI Certifier FA Plus, available from BC Group International, can test most models of ventilators: adult, pediatric, anesthesia, neonatal and high-frequency. It can also test a variety of other medical equipment such as anesthesia gas delivery machines, insufflators and oxygen concentrators. 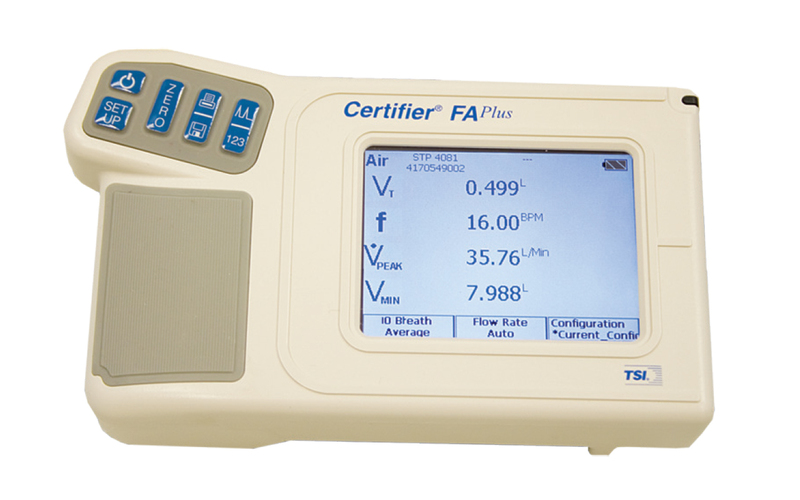 The Certifier FA Plus’s compact size makes this ideal for use in field service, biomedical shops and manufacturing. With fast response and bi-directional sensors, it’s capable of testing all types of ventilators including neonatal and high frequency. This ventilator tester is designed to measure air, oxygen and nitrous oxide flow and pressure in institutional, home care, field service, laboratory and production applications. For more information visit www.bcgroupintl.com.